CH Starbuck Torbay Legally Wild, CDX RAE TD CGC TDI "Toozik"
Toozik was our first show dog; he finished his championship title with five majors at just 7 months and 10 days. He is a multiple group placer and a sire of champion progeny. After switching to performance events Toozik competed in Obedience, Rally and Tracking. 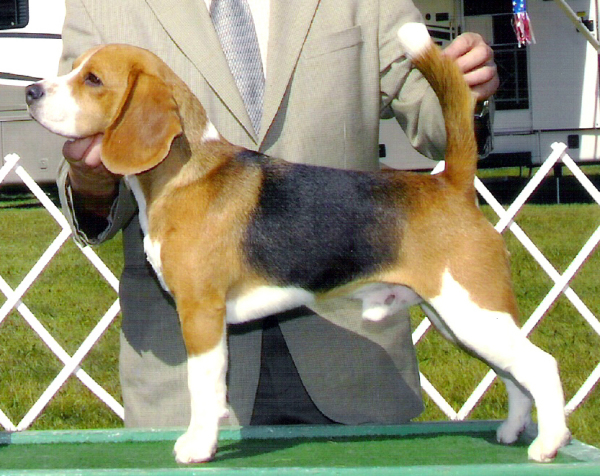 He was Americaâ€™s #3 Obedience Beagle in 2005 and the top Rally Beagle in 2007.